&QUOT;LANCETILLA&QUOT; IS A HONDURAN SELECTION MADE FAMOUS BY DR. RICHARD CAMPBELL. 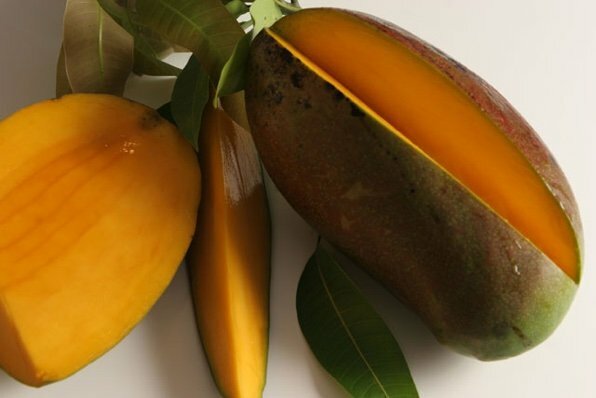 ITS DEBUT AT THE 2001 INTERNATIONAL MANGO FESTIVAL AT FAIRCHILD TROPICAL BOTANICAL GARDENS MADE IT AN INSTANT SOUTH FLORIDA SENSATION. ITS IMMEDIATE ACCEPTANCE BY HOMEOWNERS CAN BE ATTRIBUTED TO THE TREE'S ABILITY TO BE MAINTAINED AT JUST TEN FEET. THE FIVE POUND BLOOD-RED FRUIT IS FIRM, SWEET, AND COMPLETELY FIBERLESS. THE FRUIT RIPENS FROM MID AUGUST TO SEPTEMBER.